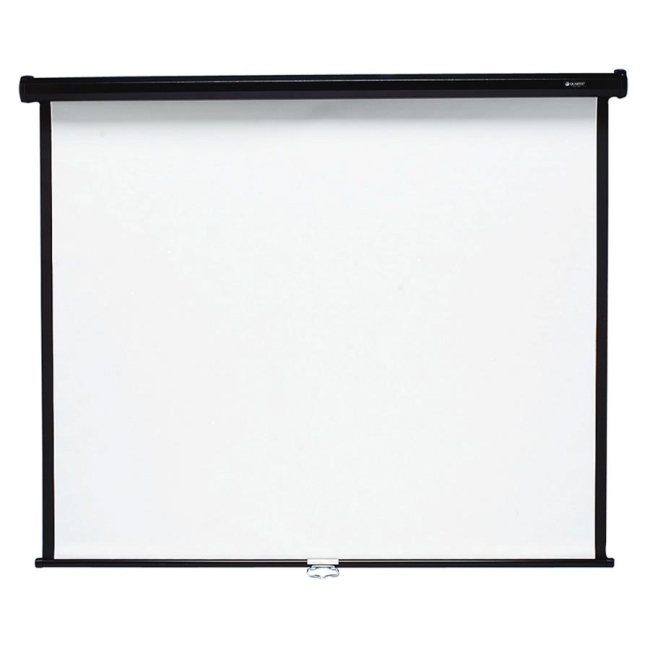 Easy-to-install, high-resolution projection screen offers a matte white surface with a black border for crisp, precise images. 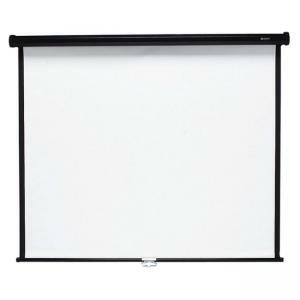 Ideal for multimedia, video and overhead projections. Hang from wall with optional wall bracket (not included) or ceiling. Screen has reliable, heavy-duty retraction springs. Project screen is flame-retardant and mildew-resistant. Use included durable, sleek black metal case to transport and store the screen.